Dump Truck Insurance Quotes Great Rates! Dump Truck Insurance is specialty insurance that covers dump truck and aggregate hauler operators. 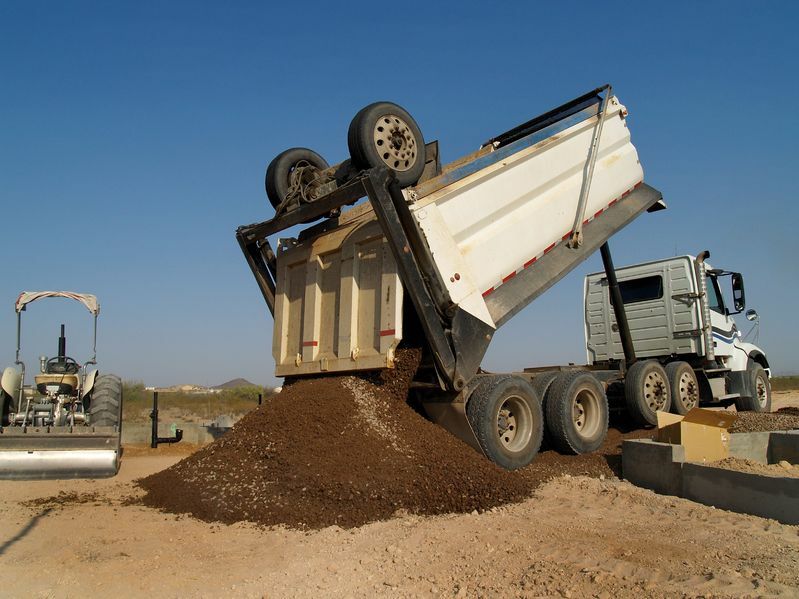 The term “aggregate haulers” is also used to describe dump truck andoperators who pull dirt sand and gravel. As a leading provider of specialty insurance products, we have the expertise and capacity to design a well-tailored insurance program for businesses operating as aggregate haulers and dump truck operators. At Logan Insurance Agency Inc, we work hard to provide the best insurance for sand, rock, asphalt and gravel haulers because it’s not just about protecting your dump truck – it’s about protecting your business and livelihood, and it’s about peace of mind. If you use a dump truck to haul sand, rock, asphalt and gravel you need a specialized commercial vehicle insurance to cover your Liability, Physical Damage, Pollution and Cargo exposure. Dump truck insurance is typically available for standard dump trucks, transfer dump trucks, gravel trucks, six or 10 wheelers, super dump trucks and pretty much any heavy-duty truck with a bed that tilts backward to dump loose material. Since your dump truck is classified as a heavy duty commercial vehicle, it’s capable of doing quite a bit of damage to anything it hits or dumps on. That’s why there’s special commercial vehicle insurance to cover it. Insurance carriers that we represent are going to take several factors into consideration to calculate your premium. These will include the dump truck itself, what you’re hauling, where you’re hauling it, the driving records of whomever is driving your dump truck and sometimes the personal credit of owner and years in business. The longer you’ve been operating the type of dump truck you want to insure, the more likely you are to find affordable dump truck insurance. Hauling hazardous materials like volatile chemicals or explosives will require a special policy with higher liability limits and special endorsements covering hazmat. Dump truck drivers are frequently required to have a financial responsibility filing with the state (form E) or the federal government (BMC-91X). This is proof that you’re carrying sufficient dump truck liability insurance and protects you and other drivers from such high-risk situations as hauling hazardous materials or driving a really big rig. Your basic required dump truck insurance will include liability and physical damage coverage. You may also want to look into optional dump truck insurance coverage such as rental reimbursement with downtime. This will pay for renting another dump truck if yours is stolen or becomes inoperable. Let Logan Insurance Agency Inc help you choose a policy that will fit your individual needs. Protecting your assets, whether personal, business, or both, is our goal. A well-chosen policy can lessen the impact of some of life’s most common, yet unforeseen perils. We’re here to help when you are considering Dump Truck Insurance.